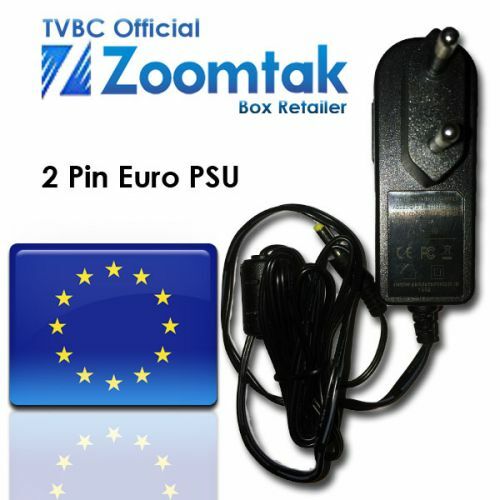 Genuine ZOOMTAK Euro 2 Pin Power Supply Unit. Fits all models except boxes fitted with Hard Drives or Solid State Drives. Genuine part with protection ring. Price includes delivery with Royal Mail signed for postal service.